Become a global citizen as you explore Japan, engage in cultural exchange, build your language skills, and experience life in one of the world’s most dynamic cities: Tokyo. Established in 1963, Japan Study is one of the oldest and most comprehensive programs in higher education exchange between the United States and Japan. Based at Earlham College, Japan Study links member colleges of the Great Lakes Colleges Association (GLCA) and the Associated Colleges of the Midwest (ACM) with Waseda University in Tokyo. 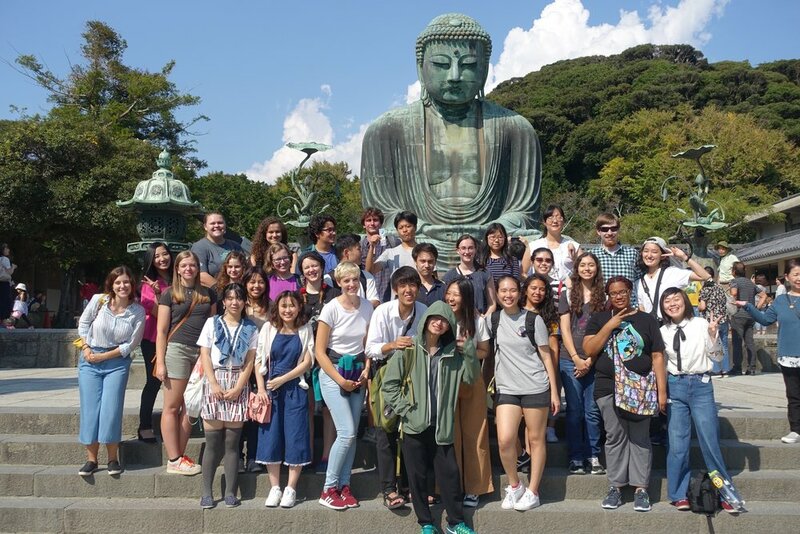 Japan Study has made important contributions toward fostering international and intercultural understanding among thousands of Japanese and American students and faculty members. Alumni have gone on to distinguished careers in academics, industry, the arts, government, and non-profit organizations. They play important roles in a wide range of settings linking Japan, the United States, and the rest of the world. As challenging as it is rewarding, Japan Study has shaped the lives of more than 1,500 students. Apply today to become part of a legacy more than 50 years in the making. Take classes in a range of subjects at one of Japan's most well-known universities. Waseda University's School of International Liberal Studies offers classes in the humanities, social sciences, arts, math, business, and economics. Dive deeper into Japanese and Asian studies or branch out into something new. The Cultural Internship sends students outside of Tokyo to experience new facets of Japanese culture firsthand. You can choose from a variety of options, such as working at a ski lodge in Nagano, training to be a monk at a Buddhist monastery, and caring for cats and dogs at a shelter in Osaka. Join one of Waseda’s many clubs, including martial arts, dance, and cultural activities. This is a unique opportunity to make friends and participate in an integral part of student life. You will also be placed with a host family who will serve as your guide as you adjust to Japan and navigate the culture. Whether you're a student, a parent, or faculty, we're here to help. Use the form below to send us an email, or you can call us directly at (937) 983-1224.